Russia has agreed to allow Ukraine extra time to file its defence with a British court … Russia filed a lawsuit … demanding repayment of the $3 billion Eurobond …. Ukraine insists Russia must accept restructuring terms agreed with other foreign creditors. … Ukraine had until March 19 to file its defence although it was granted an extension until April 16. It has since asked for the second extension until May 27. 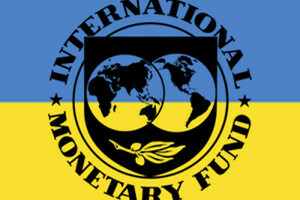 The Eurobond … was issued by … Yanukovich … two months before he fled to Russia in February 2014 amid bloody street protests … Ukraine refused to repay the bond, including it in … external debt … earmarked for restructuring as part of an International Monetary Fund-led bailout programme. Moscow insists the bond is sovereign debt and should not be part of the programme. Click here for Reuters: Russia Grants Ukraine’s Request to Delay Eurobond Case Defense.